For grilling flaky fish, vegetables, and smaller items, or use it with our Wok as a steamer tray. Made of marine grade 304 Stainless Steel, this professional grilling accessory keeps those small delicacies from falling through the grill. The convenient removable rubber coated handle makes the grill tray easy to use and to stow. 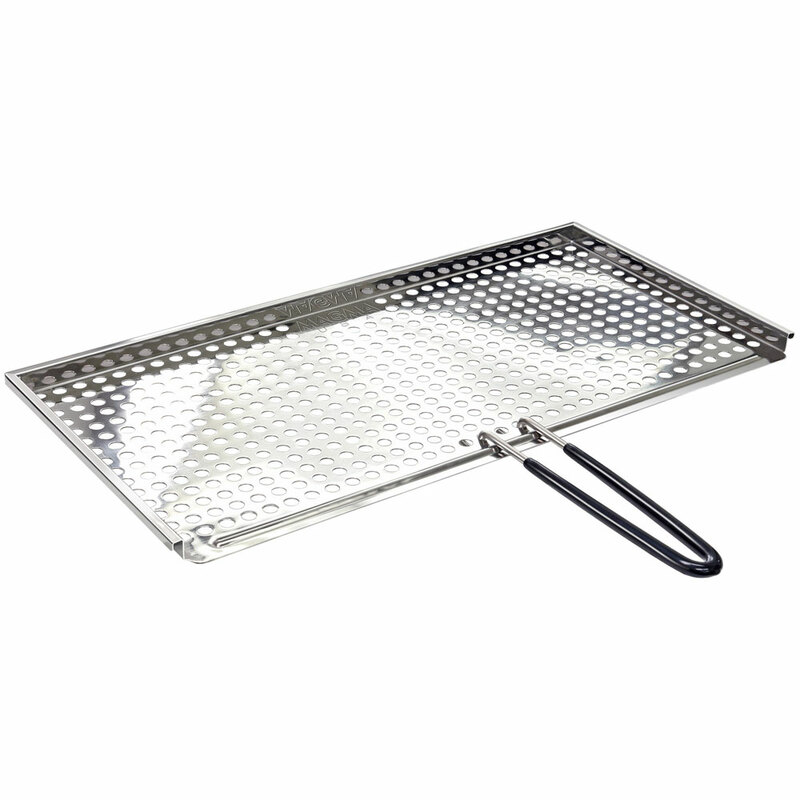 The grill tray may also be used with our Stainless Steel Wok as a steamer tray. The non-stick version is coated with Teflon® Select for unsurpassed durability.